I look forward to Earth Day Sales all year! Some of my favorite shops for Green Mom Products have amazing once a year sales and I love shopping. Cloth Diapers, Reusable Products, Organics and Natural care items are all on sale at prices that won’t be around for a long time. If there are items you hope to stock up on, now’s the time! 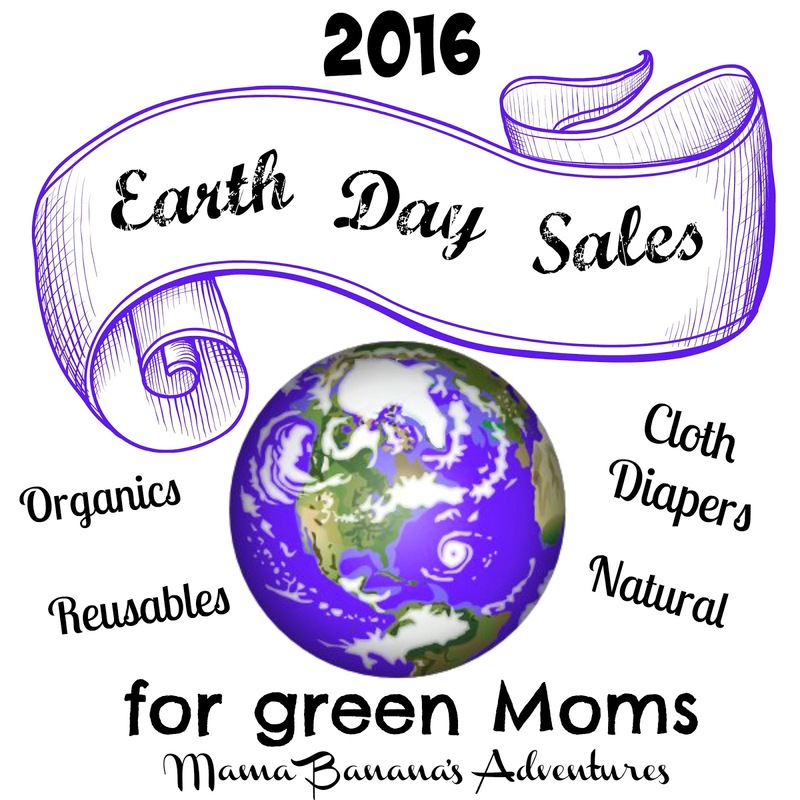 Here are some of my affiliates who are offering amazing Earth Day Sales! Also, ALL ORDERS will receive DOUBLE REWARDS!!!! Discounts apply to regular price merchandise only. As always, packages are not included since they are already discounted. We may have some late additions to our discount list, so keep an eye on this post and our newsletter! *Rumparooz has asked us to use a coupon for this event. The sale pricing will not be reflected on the item pages, BUT the coupon will be automatic, so once you add the item to your cart you will see a discount reflected on your order total. **Funky Fluff’s new release will not be eligible for sale pricing. ***GroVia BioSoakers, BioLiners, Mighty Bubbles and the Chesapeake Bay print are excluded from sale pricing. ****Flip Disposable Inserts are excluded from sale pricing. While Grovia products may sell out quickly from smaller retailers, going straight to the source is a great way to ensure you get the print you want! 15% off with code “earthday” through Sunday!